Leaks in Your Water Line? Find leaks before they can do real damage. 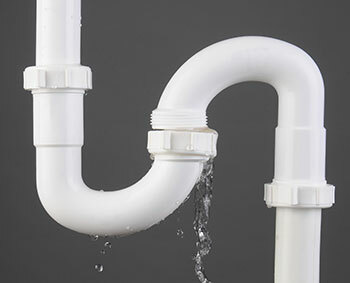 Research indicates that a home can lose between 2,000 and 20,000 gallons of water per year due to leaks in a water line. Dripping faucets and leaking water heaters may be telltale signs that you have a problem, but all too often a leak is not easily visible and will go undetected for many years. Finding a leak before significant structural damage can take place is essential. Larger leaks can be identified by using your water meter. First, make sure all water and water equipment is turned off inside and outside your home. Then record the reading on your water meter. Wait 15 minutes and then record the water meter again. If the meter reports water use then you may have a substantial leak. Remember that this test is only effective for larger leaks, and further investigation may be required to locate other leaks. Toilet leaks are some of the most common, and yet often go undetected because the leak is silent or out of view. Studies have shown that as much as 20 to 35% of all residential toilets leak to some extent. A hissing or gurgling sound from a toilet when it’s not in use may indicate a larger leak. You can also perform a dye test by placing a couple dye tablets or food coloring in the tank water. If the colored water appears in the bowl after 15 minutes there is a leak in the toilet’s flapper valve. Remember, just because your toilet is functioning doesn’t mean it may not need a leak repair. A leak between the meter and the home may be difficult to locate because the water line pipe is buried at least 3 feet below the ground. If your meter box contains water that is not a result of irrigation or runoff, a leak may exist in your water line. If the soil is frequently damp where the supply line rises above ground this may also indicate a leak. Keep in mind that a leak from the meter or the pipes leading to the meter are the responsibility of the utility, and a water utility should be contacted before any attempts to repair are made. This entry was posted on Friday, June 17th, 2016 at 6:09 pm. Both comments and pings are currently closed.